Grown specifically for their ornamental foliage, caladiums offer spectacular color through the summer. 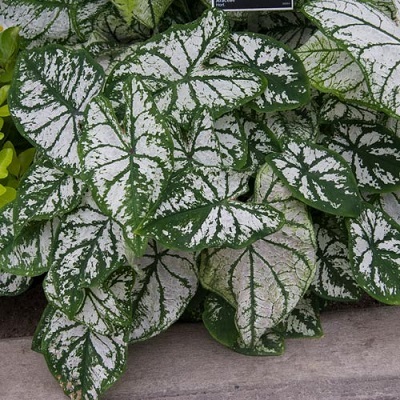 With colors that range from red to a pale pink, to white and deep rose, they can enhance almost any shady area, from patios and decks to shaded corners of the garden. Plant them in shady window boxes where sun-loving annuals won't grow. 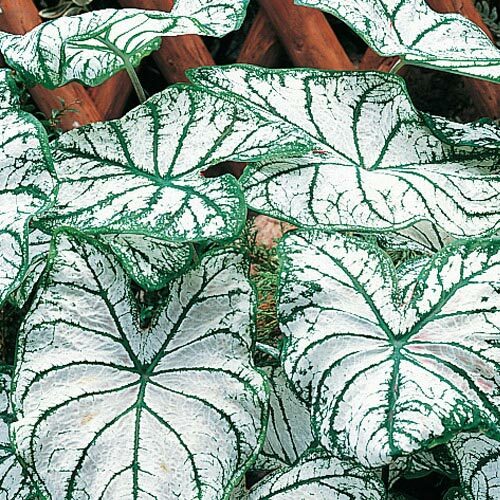 Ideal for conservatory or warm porch during winter. Mixture contains red, white, pink and rose. Size: 1¼ to 1½" Bulb. 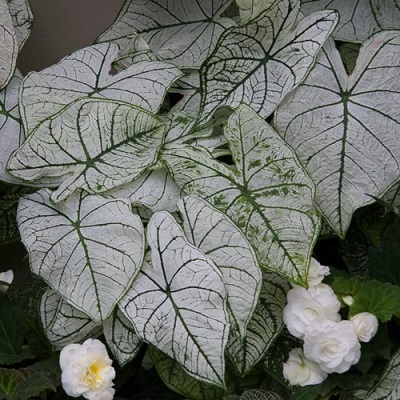 Large white blotches with green veins. 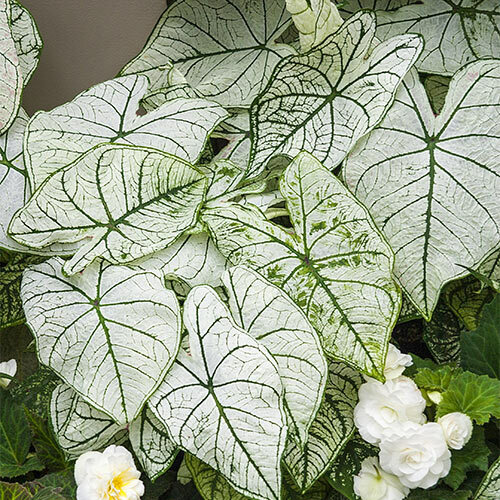 Peltate heart-shaped leaves with colorful membranes.